Preheat the oven to 180ºC/350ºF/gas 4. In a large casserole-type pan slowly fry the pancetta and cinnamon until golden, then add the onion, carrot, garlic and herbs and about 4 tablespoons of olive oil. Mix together, then add the beef and pork. Cook for about 5 minutes, then add the tinned tomatoes and the wine or water. Add the bay leaves and bring to the boil. Then get some greaseproof paper, wet it and place it on top of the pan with a lid placed on top as well. Then place in the preheated oven for 2 hours or simmer on the hob over a gentle heat for around an hour and a half. Rub your butternut squash slices with olive oil, and sprinkle with salt, pepper and the bashed-up coriander seeds and chilli. Place on a baking tray and roast in the oven for the last 45 minutes of cooking the sauce. When the sauce is done, season to taste and put to one side. Mix together your crème fraîche, anchovies, and a handful of Parmesan, and season with salt and pepper. You may need to loosen the mixture with a little milk. Turn the oven to 200ºC/400ºF/gas 6. 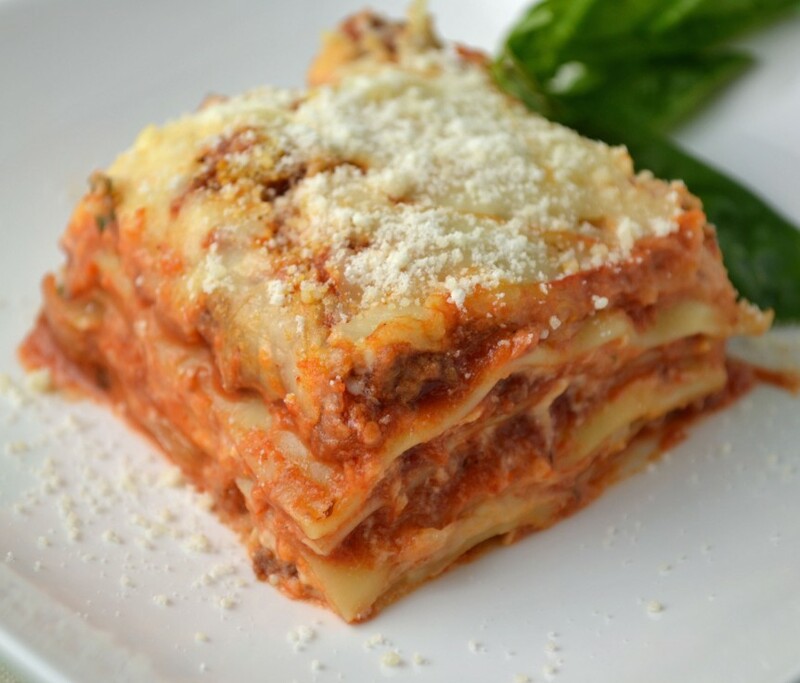 To assemble the lasagne, rub an earthenware lasagne dish with olive oil, lay some sheets of lasagne over the bottom and drape them over the sides. Add a layer of meat, a little white sauce and a sprinkling of Parmesan. Break the butternut squash into pieces and use this as one layer, then repeat the layers, finishing with a layer of pasta covered in white sauce. Tear over the mozzarella and sprinkle with some extra Parmesan. Cook in the preheated oven for 30–35 minutes until golden.